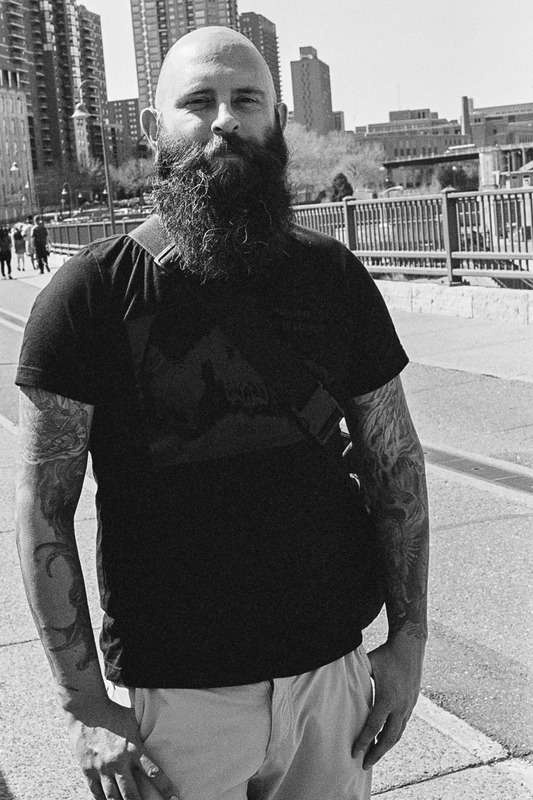 I met Shawn on the Stone Arch bridge in Minneapolis on a bright afternoon. As I approached him he was talking with a group of women. 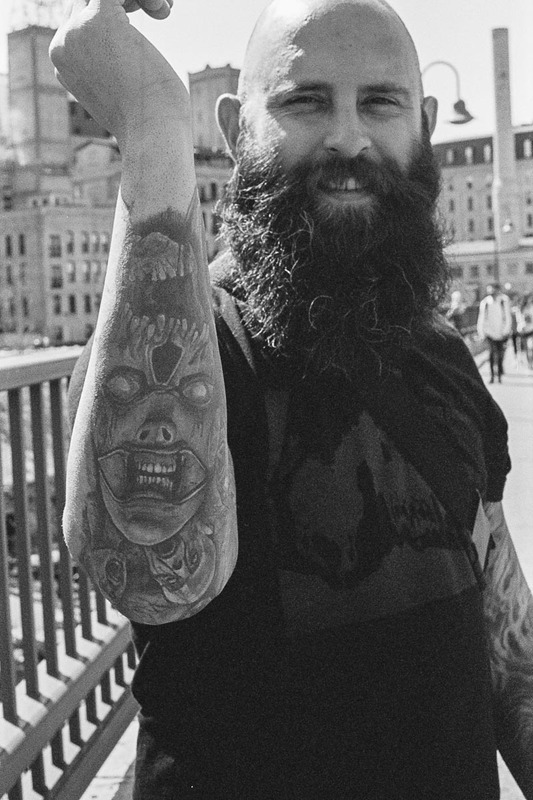 The first thing I noticed was his long beard, it was fantastic. I went up to him and said I loved his beard and had noticed him from a ways off. I introduced myself and the project and thought he would be great for it. He happily agreed for a portrait. Shawn grew up in Rochester MN, which is a city in the southern part of the state. The Mayo Clinic is one of the most known aspects that most think of but it has other interesting spots as well. Shawn now lives in Minneapolis and doesn’t just have one job but does many different things. He is a teacher for deaf people, he does some software engineering, and also loves art. I may have missed a couple other jobs as I was so fascinated with him and his glowing personality. Oh and did I mention the tattoos. Some of the coolest I’ve seen in awhile. One you can see is double headed depending on which way his arm points, this was so cool!